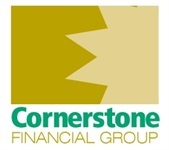 Hunter Wade is the president of Cornerstone Financial Group. He directs all aspects of the company's operations. Hunter supervises all investment-related business with the registered representatives at CFG. Additionally, he develops the firm's goals and portfolio strategies, as well as investment allocation targets. 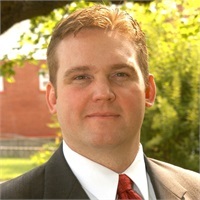 A graduate of West Virginia University, Hunter began his career in the financial services industry with Metlife in 1993. When asked why he chose the financial services field, Hunter states, "I grew up in southern WV with wonderful parents. My dad worked in the coal mining industry and my mom was a small business owner. Upon leaving WVU, I realized they had no retirement plans in place. They, as well as so many others like them, needed someone they could trust to help them put the right plans in place. It was then that I decided to enter into the financial services field. I believe in what I do; I believe in helping people. Hunter and his wife, Sherry, reside in Beckley, WV. They have two children, Zechariah and Arianna. Registered Representative of The O.N. Equity Sales Company, Member FINRA/SIPC, Cincinnati, Ohio 45242 513-794-6794. ONESCO Institute Qualifier, top 40 in the country 2011, based on gross dealer concessions.